One benefit from having to miss the Armageddon Expo event in New Zealand this weekend is that I’ll be able to attend the Albany Comic Con again, at least for a few hours. As with previous shows, it’s being held at the Holiday Inn on Wolf Road in Albany, NY from 10 a.m. to 4 p.m. Sunday, Oct. 24. 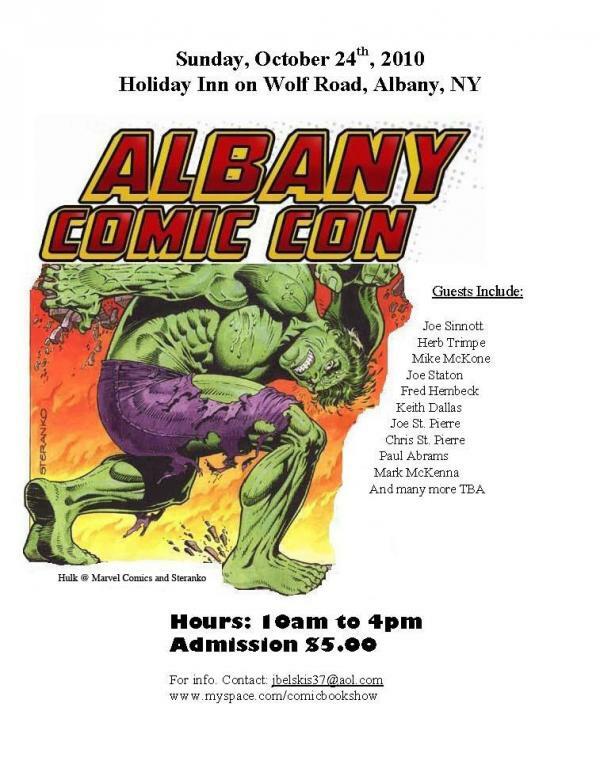 Other guests include artists Mike McKone, Matthew Dow Smith, Herb Trimpe, Joe Staton, Fred Hembeck, Mike Borkowski, Declan Shalvey, Mark McKenna, and Bobby and Peter Timony; sculptor Paul Harding; writers Todd Dezago, Keith Dallas and Nick Tapalansky; and plenty more. Legendary Fantastic Four inker Joe Sinnott, still recovering from surgery, is scheduled to stop by to sign for a few hours in the afternoon. Admission is only $5. The show site is here. I’ll only be at the show until around 2 p.m., when I have to leave to coach my son’s final fall baseball game. I’ll have some Magdalena posters and Artifacts bookmarks to give away, a stack of Artifacts #1 copies to unload, and some other goodies. Hope to see some of you. Reviews of Artifacts #2 are still trickling in, but the list below is the bulk of ’em. First up is a video review from Sara Lima at Comic Vine. 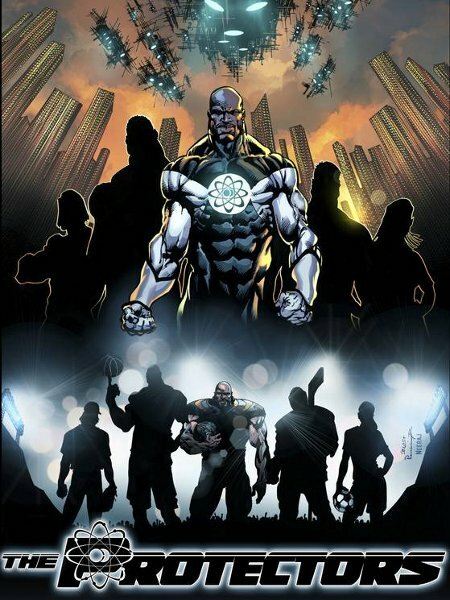 The most gratifying aspect to it all is that reviewers and readers seem to be finding the series accessible, even if they’re not regular readers of the Top Cow Universe (yet). We’re planning to send issue #3 off to press late this week, so it should be in stores a few weeks after that. I’ll be at the New York Comic Con this Friday, Oct.8, through Sunday, Oct. 10, held at the Jacob Javits Convention Center on Manhattan’s West Side. NYCC has quickly grown to be second only to the San Diego convention in size and importance. My “home base” for the con will be the Top Cow booth, #2129. Rather than a set signing schedule, I’ll generally be at the booth to sign and chat when I’m not scheduled to be elsewhere. If I’m not around, you can ask one of the booth personnel when I’ll be back, or even to track me down. Two of my artistic collaborators, Michael Broussard of Artifacts and Nelson Blake 2nd ofMagdalena, will also be among the Cow herd for the show. 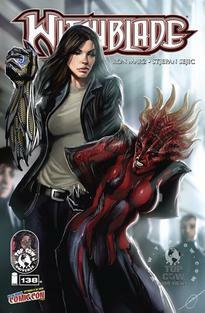 Top Cow will also be offering two con exclusive covers, both of which happen to be my books. Stjepan Sejic painted new covers for Artifacts #2 and Witchblade #138, both of which will be available at the booth. And if you’re around the booth at the right times, you might just bump into Aphrodite IV. She might even hand you a nice green balloon. 4:30-5:30 p.m., Image Comics: The Writers panel, Room 1A14. I’ll be joined by fellow writers Robert Kirkman, Nick Spencer and Steve Seagle for a discussion of the writing process, and a Q & A session. Though, let’s face it, we’re gonna end up talking about Robert’s The Walking Dead quite a bit. And deservedly so. 12:15-1:15 p.m., The Image Comics Show, Room 1A22. This is Image’s “company” panel, with announcements, updates, and a Q & A session. Other panelists scheduled are Joe Kelly, Ben McCool, John Layman and James Zhang. I suspect The Walking Dead will come up again. 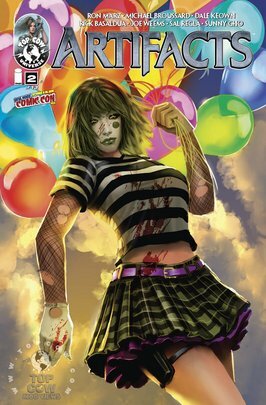 1:15-2:15 p.m., Top Cow panel, Room 1A06. I’ll be on the panel, along with Filip Sablik, Michael Broussard, Jeff Katz of American Original and GeekWeek.com, Russ Cundiff of DiVide Pictures, and actor and comic geek Milo Ventimiglia (of “Heroes” fame). Expect Artifacts discussion (hopefully we can get just-announced artist Whilce Portacio to swing by), as well as some announcements of upcoming projects. Those who attend the panel can get a ticket for Milo’s autograph session that will follow immediately afterward. 4:30-5 p.m., signing at Graphic.ly booth, #1751. If you definitely want to get something signed, this might be the best time, as I absolutely know I’ll be here for at least 30 minutes. 11 a.m.-noon, Writing Comics panel, Room 1A23. Billed as a “nuts-and-bolts discussion to help aspiring writers,” I’ll be joined by Paul Levitz, Jim McCann and Chris Eliopoulos. And hopefully a gallon jug of coffee. Actually, it was more of a yacht. At this past summer’s San Diego con, Top Cow founder Marc Silvestri got our sea legs for a video interview on the Comic Book Resources yacht. The interview went up on CBR Wednesday, which also happened to be the same day that Artifacts #2 hit comic shops. Marc is the tall one. Heh.